The Intex Lounge Chair with Ottoman is a great product which is very competitively priced but fails miserably when it comes to durability, you would be lucky if the chair and ottoman lasted even 3 months. The Intex Lounge Chair is my first purchase of this kind, I wasn’t sure what to expect of it, when I first sat on it I felt like I should buy few more of this - one for sleeping at night, one for working on the computer and one for the balcony because this lounge chair is just that comfortable. I was very happy with this purchase - “money well spent” I thought, but then the issues started cropping up. 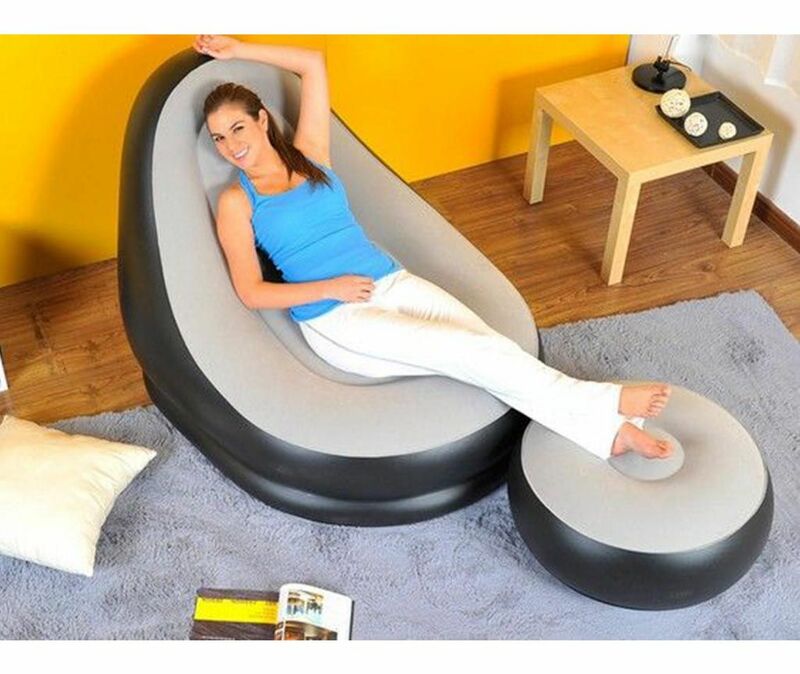 An Inflatable sofa is portable ; so, you can use it anytime, anywhere!